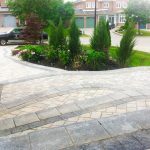 All Care Interlocking provides and installs a wide range or eco-friendly products that harness rain and recycle it back into your property, creating beautiful lawns and gardens while preserving natural resources. 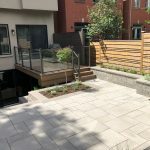 Some of these products include permeable pavers that allow water to naturally penetrate back into the earth, saving water from being wasted in storm drains. We also install various natural irrigation systems and catch basins that work in unison with your home’s downspouts that channel water underground to feed lawns and gardens.